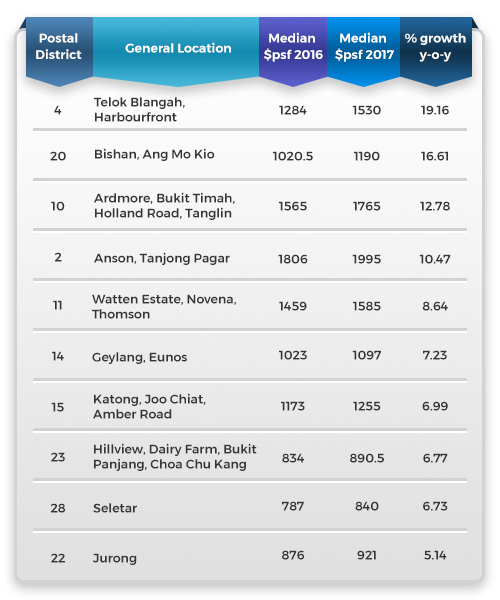 District 4 (Telok Blangah, Harbourfront) achieved the highest annual growth in the past year, with a staggering growth of 19.16%. District 20 (Bishan, Ang Mo Kio) achieved the second biggest annual increase in 2017, with 16.61% growth in median psf. New projects such as 183 Longhaus (shown) could have brought about an uplifting effect on property prices. In third place is district 10 (Ardmore, Bukit Timah, Holland Road, Tanglin), which had a 12.78% annual growth. District 2 , covering Anson and Tanjong Pagar, achieved an annual growth of 10.47% in 2017. Prime district 11 (Watten Estate, Novena, Thomson) achieved an annual growth of 8.64% last year. We all know that Singapore’s private residential property market is picking up, following a second consecutive quarterly increase in the period ended December 31, 2017. So which districts showed the highest growth in the past year? For answers, we looked at the median psf prices for resale transactions involving non-landed residential properties within each district for the 12 months of 2017, and compared them to similar transactions that took place within the same time period in 2016. 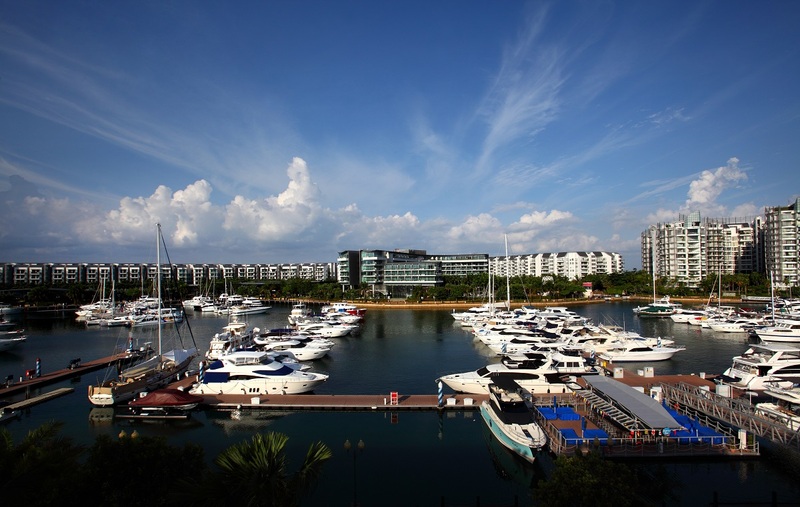 Singapore’s district 4, which covers Sentosa Cove, Keppel Bay, Telok Blangah and Mount Faber, has seen a pickup in property prices and transaction volumes in 2017 and this is reflected in its massive annual growth of 19.16%. Median psf price of private non-landed homes in the upscale district rose from $1,284 in 2016 to $1,530 in 2017, and is catalysed primarily by the price recovery at Sentosa Cove condos. In an earlier interview, Alice Tan, director and head of consultancy and research at Knight Frank Singapore, noted that overall prices for condos at Sentosa Cove had recovered by 15.9% from 1Q2017 to 3Q2017, to an average of $1,593 psf. Within the same period, transaction volume surged 180% to 31 units, compared with 11 in the first nine months of 2016.